On Friday 25th May voters in the Republic of Ireland will be given an opportunity to repeal their current abortion laws – which currently essentially give unborn foetuses and pregnant women equal rights – which are among some of the most restrictive in the world. In 2017 Dr Jayne Kavanagh, Principal Teaching Fellow at UCL Medical School, and colleagues from UCL, produced a film to commemorate 50 years since the 1967 Abortion Act in the UK – an Act which legalised abortion in the UK (although not in Northern Ireland). In recognition of the historic vote taking place on May 25th, the UCL Centre for Gender and Global Health will be showing Jayne’s film on Monday 21st May at 5.30pm in the Levinsky Room, ground floor ICH, followed by a Q&A session with Jayne and her fellow film-makers. All are welcome to come and see this short film, and join us for some Irish tipples and nibbles. The passing of the 1967 Abortion Act was a pivotal moment for women’s health and women’s lives. The culmination of decades of campaigning, it finally ended the horror of deaths from self-induced and backstreet abortions. It precipitated the public funding of contraception for all and meant that, finally, women were able to choose when and whether to have children. In this moving documentary women who survived illegal abortion, the nurses who picked up the pieces when things went wrong, campaigning doctors, and abortion rights advocates share vivid memories of the time; and bring to life the story of this ground breaking legislation and of a historic turning point for women’s rights. In this film we are reminded of a time when contraception was hard to access and women lived in fear of unwanted pregnancy. We hear about the work of doctors and family planning pioneers providing and advocating for accessible contraception; and the Family Planning Act of 1967 a significant step in the campaign for free contraception for all women. 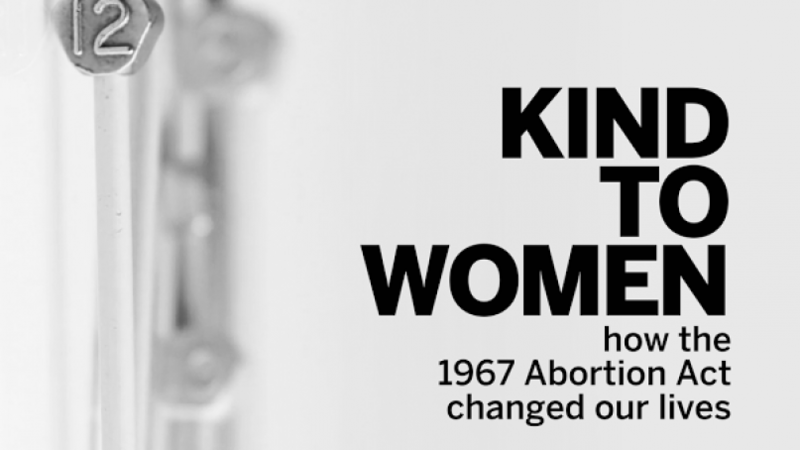 This abridged version of Kind to Women duplicates the first 20 minutes of the film, covering the period leading up to the 1967 Abortion Act. We are offering this shorter version of the film for anyone showing it in a teaching context/conference with limited time. It includes the moving testimonies of women; and the doctors and nurses who cared for the women injured by dangerous self-induced and backstreet abortion. For more information contact the Kind to Women production team.